Wow, what a ride! First things first, if you are squeamish, don’t like dark reads, or cannot tolerate violence you should probably avoid this book (although you’ll be missing out). Reading a book in The Deanna Madden Series is essentially like watching an episode of the TV show Dexter. If you can handle Dexter you can handle this. Reading the first book in the series isn’t necessarily essential but it will greatly help put things into proper perspective and intensify the importance of characters and situations. Do Not Disturb picks up two weeks after the events that occurred in The Girl in 6E, when Deanna left her apartment for the first time in three years. Two weeks after her taste of freedom and fresh air. We find Deanna craving that freedom more than ever as well as the company of her new boyfriend. The depth of plotting and level of natural depravity is striking and intimidating. I’ve joked that I’m a little scared of Alessandra now but, joking aside, it shows that you never know the depth of one’s imagination which gives credence to Deanna’s character. She is notably sweet and innocent on camera but when the cameras are off, when her mind wanders free, she is vastly different. Those closest to her, Mike, Jeremy, and Derek, have no idea how dark Deanna can truly be, how methodical and calculating. How well she can bring her desires to fruition. At times, I’m not sure she even knows herself, which is precisely why she locked herself in her apartment in the first place. How much self-restraint can one have when they are the only force keeping the undesirable at bay? The first half of the book eases the reader in, letting us get reacquainted and settled in while establishing the direction of the story. The second half is fast-paced and intense. You will want to block time for reading the last half because stopping for long periods could be detrimental to your sanity. The writing is above-average as one would expect from Ms. Torre. The plot lines are well-established and thought-out. 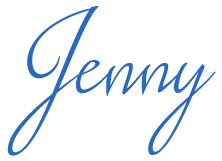 The characters are developed fully and have purpose. There aren’t any frivolous characters hanging about serving little to no purpose. Every part of this story is connected to something bigger, something heavier. My only criticism is that there were a couple on instances where I thought, “Well, that was convenient.” It was never anything big and was necessary to move the story along but was present nonetheless. 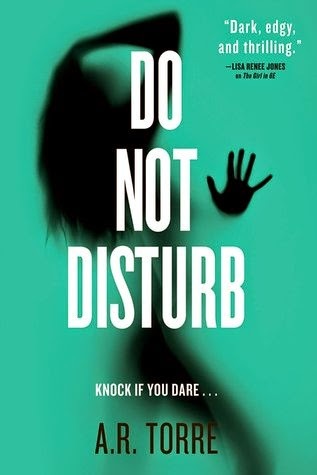 Overall, Do Not Disturb is a suspenseful, fascinating ride. The relationships are not typical and I found watching them develop fascinating. One can never be too sure how far things will go in this story and once you read the note from the author you’ll understand that even more. I highly recommend Do Not Disturb and The Girl in 6E. I can't wait to read it!!! I've been looking forward to this one!